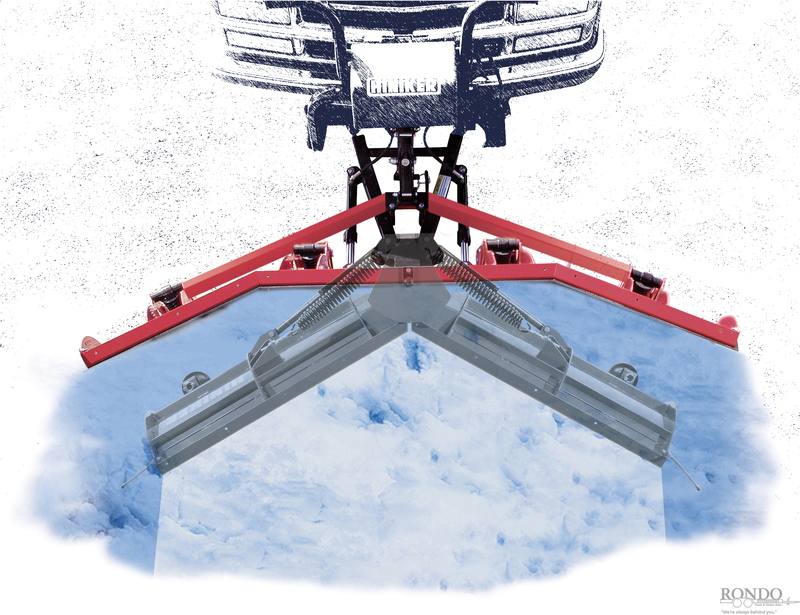 Move snow more efficiently with a Hiniker trip-edge Scoop plow. 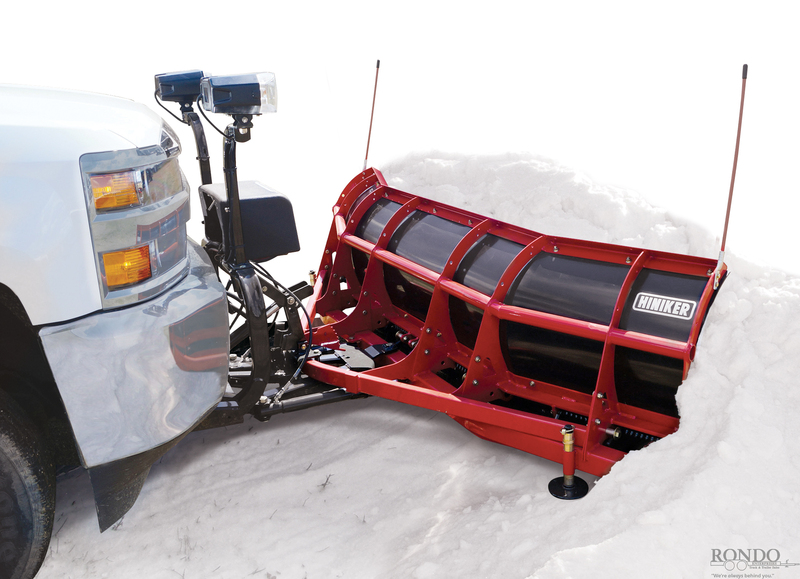 The unique concave shape captures snow, providing greater capacity, less spillage, and faster, more efficient clean-up. 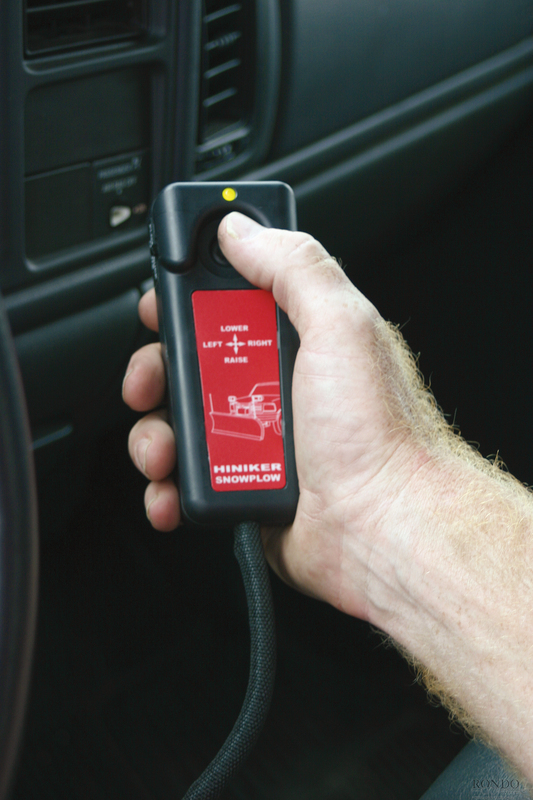 Plus the protection of a full width, three-section, high-clearance trip-edge. 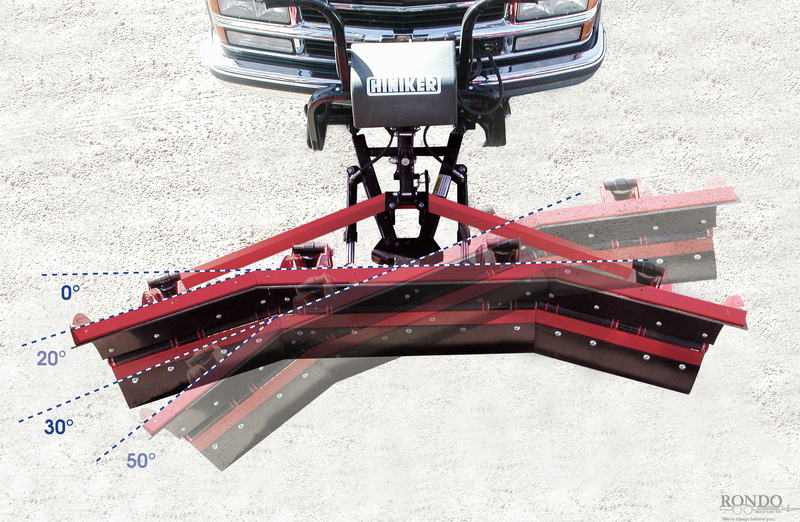 The ability of the Hiniker scoop plow to angle full right or full left for conventional plowing, combined with the outer end's 50-degree forward angle, significantly reduces high-side spillage. 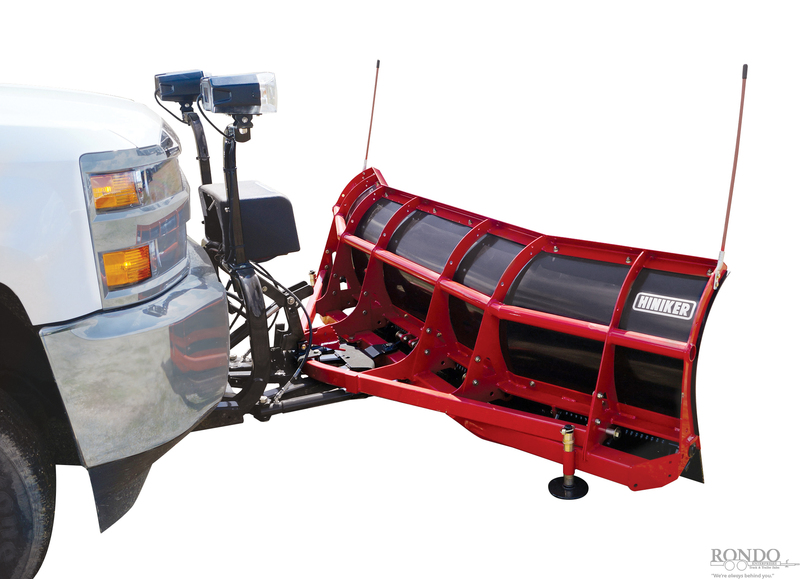 The Scoop plow is ideal for parking areas and large lots where high-capacity, high-efficiency plowing is essential. 1/4" HMW low-friction poly moldboard never needs refinishing. 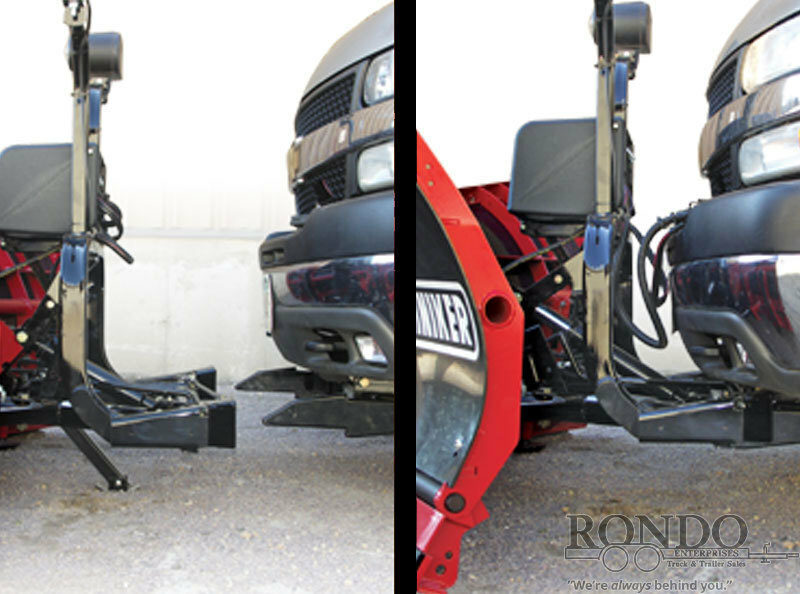 Hydraulic scissors lift cuts transport bounce and eliminate chains. 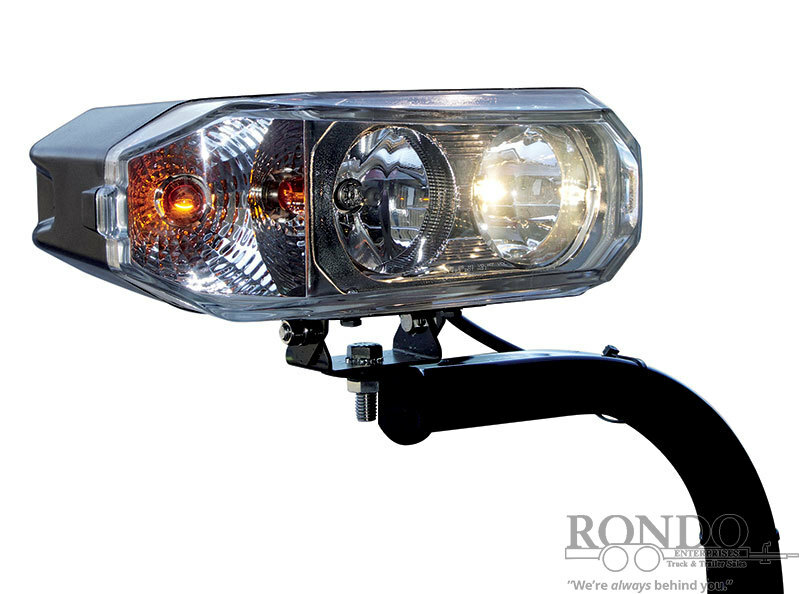 20 Degree fixed-angle outer ends. Conventional plow weight and simplicity. 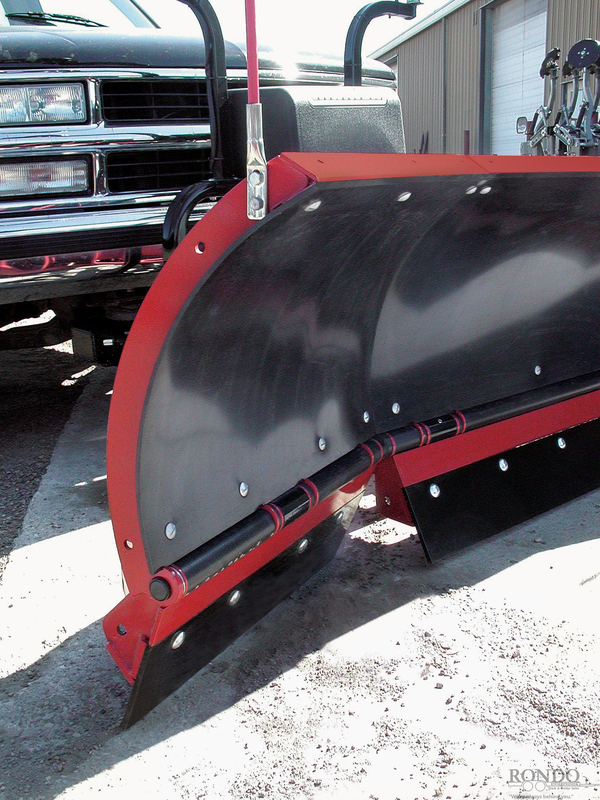 The Scoop's concave share captures more snow than other plow designs. 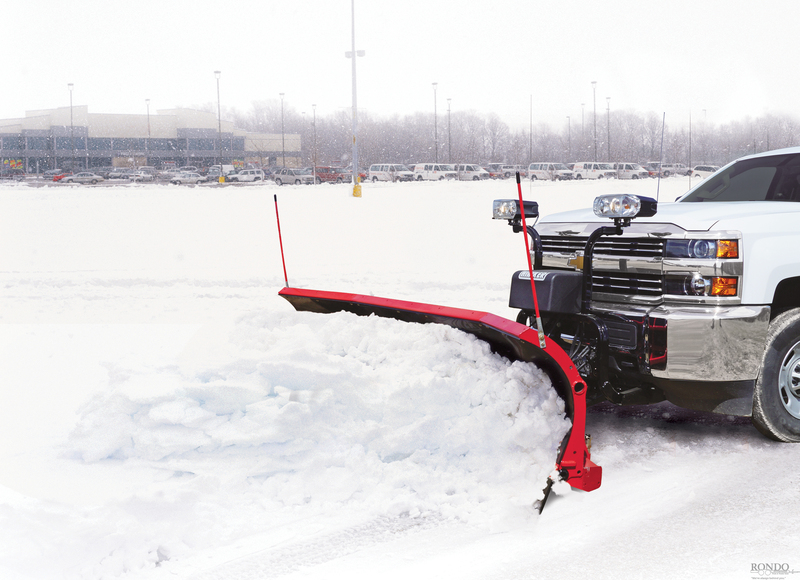 Its concave design and fixed-end simplicity provides operators an effective and efficient plow for a wide range of applications. Weight (Net of truck mounted hardware): 803 lbs.